Professor Yates’ research expertise is in the area of environmental economics, with a particular focus on the design of pollution permit markets. One of his recent projects analyzes the optimal scale of nitrogen emission trading in North Carolina’s Neuse River System. He has published articles in a variety of economics journals including the Journal of Economic Theory, the Review of Economics and Statistics, the Journal of Environmental Economics and Management, and Economic Theory. 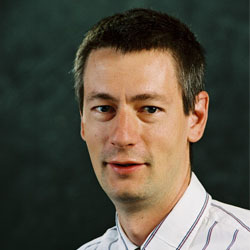 He is currently the co-editor of the Journal of the Association of Environmental and Resource Economists.